and publishing genealogical and historical records. formerly lived in Polk County, Missouri. 2) To encourage and educate members in the art and practice of genealogical research, compilation and careful documentation and otherwise promote scholarly writing; to maintain and elevate genealogical standards. 3) To encourage the interest in and the expansion of the resources, equipment, and physical facilities which will be the private property of the Society. The gifts and bequests of books, materials, manuscripts, photographs, and financial contributions to the Society, would thereby enable the Society to remain in a constant state of growth and progress. The Polk County Genealogical Society Research Facility is open four days a week and staffed entirely by volunteers from the Polk County Genealogical Society, a non-profit corporation. The society and its facility is supported entirely by membership fees, research fees, book sales and donations. Over 60 percent of our membership is from areas other than Polk County, Missouri. ago. She was born and raised in Fort Atkinson, Wisconsin. She married Mark Sparks from Springfield, Missouri in 1987 and they have one son, Zaq. She has been a member of PCGS for over 20 years, serving as President for most of those years. Susan has overseen many of our society's improvements over the years. She has a "real job" selling and producing entertainment for a variety of venues, which allows her to travel to many different locations to conduct research. Susan has been doing genealogical research for over 20 years. Her main emphasis in Polk County has been historical research on events, buildings and the "often-overlooked history" like the poor farm, murders and divorces. Susan enjoys a great mystery, so never hesitate to present one to her! every state in the continental USA. He is married to Marquita Payne and they have two sons. He is the head of the First Families of Polk County project. He is a descendant of the Gravely family who owned the Bolivar Free Press newspaper. Ben's grandfather, dad and uncle who published, managed and edited the paper, respectively, welcomed Ben's help in the press room when he was younger. Ben is another of Polk County's resident historians, knowing lots of the history since he paid attention to his mother's stories when he was young. Ben has been a member of PCGS for almost 15 years. beginning of the county, receiving the very first certificate in the First Families of Polk County, Missouri program for her descendancy from Matthew Glaves Campbell. Leta is married to Charles and they have one daughter, Valary. Leta began volunteering at the library in July 2003, after retiring from 30 years of teaching. She now serves the facility as the archivist, creating finding aids for the collections and preserving/repairing documents, photos, etc. that have been given to the library. She has served the group as president, treasurer, and is currently the secretary. She has been a member of PCGS for almost 15 years. Julie Wollard Trout is a sixth-generation Polk Countian. 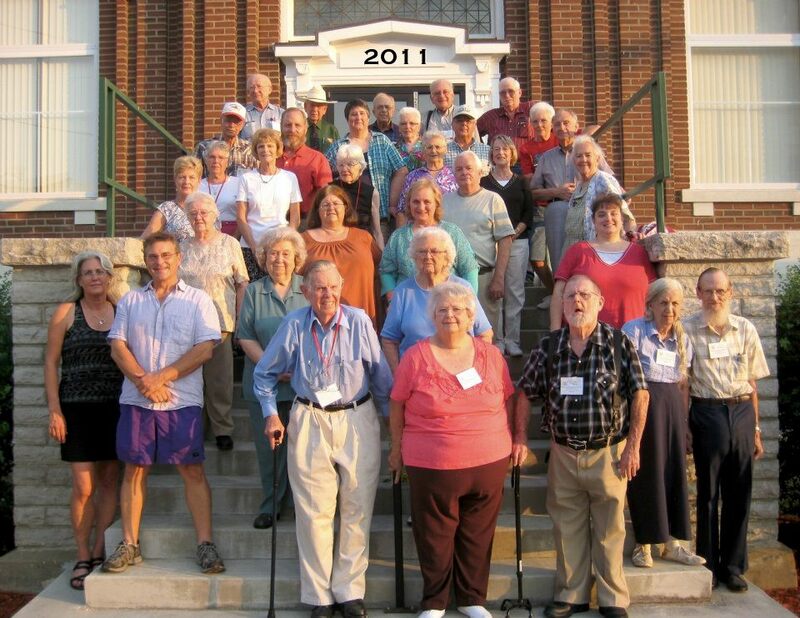 Julie is a charter member of the Polk County Genealogical Society, which was formed in 1994. She has been interested in genealogy her entire life with the start after a visit to a family cemetery at age 13. She graduated from Bolivar High School and then Southwest Baptist University with a degree in History and Sociology. She graduated from the National Genealogical Society Home Study Course in 1995. She is married to Brian and has one son in college, one in high school and one daughter in kindergarten. Since all of her children are still attending school, Julie tries hard to balance her time between being a mom and genealogy. She spends lots of time on her computer late at night researching! and all contributions are tax-deductible (under Section 501(c)(3) of the IRS).